Antelope Canyon is one of the most popular landmarks in Arizona. Moreover, this slot canyon barely gives in to the Grand Canyon in the number of pictures taken here. 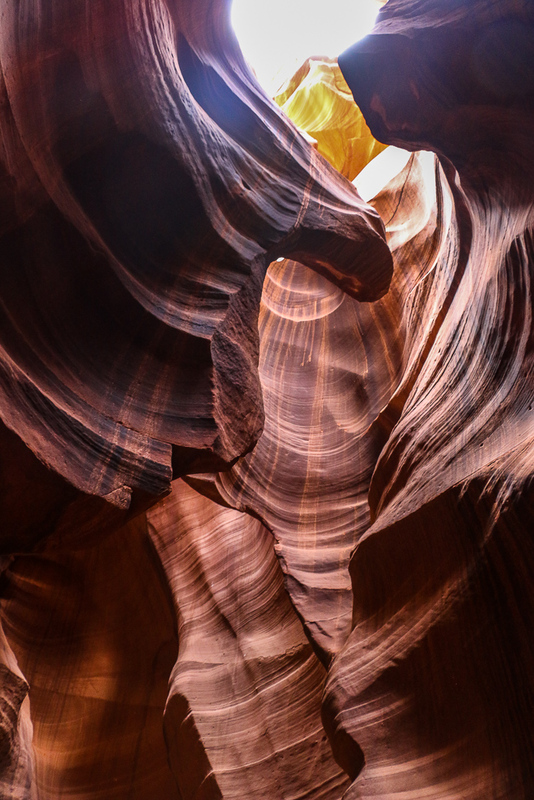 Whether you are is search for sandstone sculptures or famous light beams, Antelope Canyon is worth a visit. But not all experiences are the same. In order to avoid unpleasant situations, do your research up front. 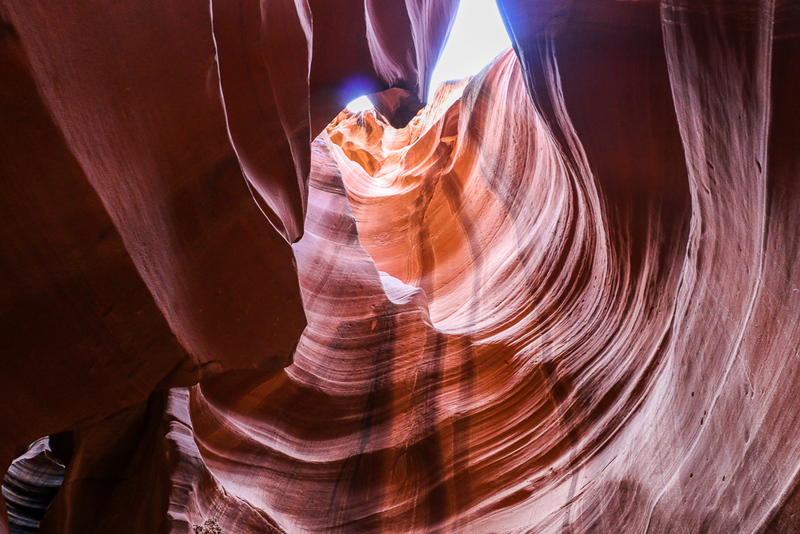 These practical tips for visiting Antelope Canyon aim to provide all information you need before exploring this wonder of Arizona. Antelope Canyon consists of two separate slot canyons: Upper Antelope Canyon and Lower Antelope Canyon. Both or them are astounding in their own ways. Upper Antelope Canyon is though easily accessible and hosts more visitors. Lower Antelope Canyon is more difficult to hike and requires climbing along pre-installed ladders is some areas. 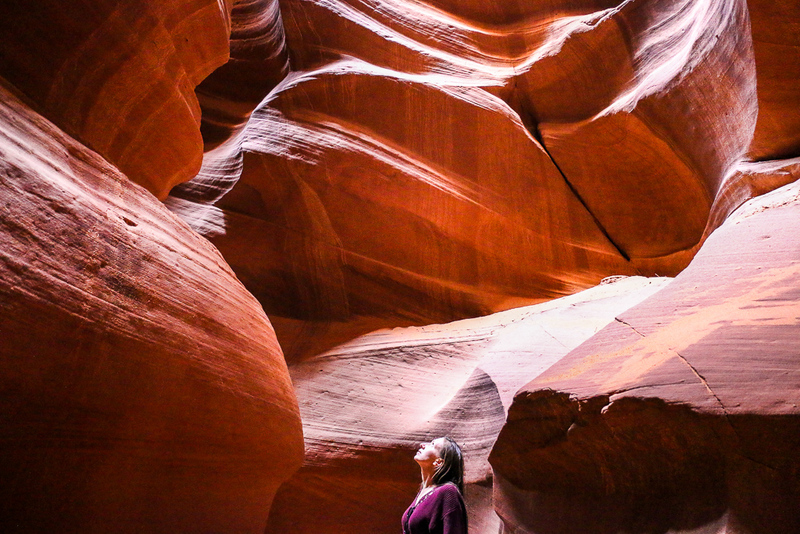 Among all practical tips for visiting Antelope Canyon, we find this one the most important. 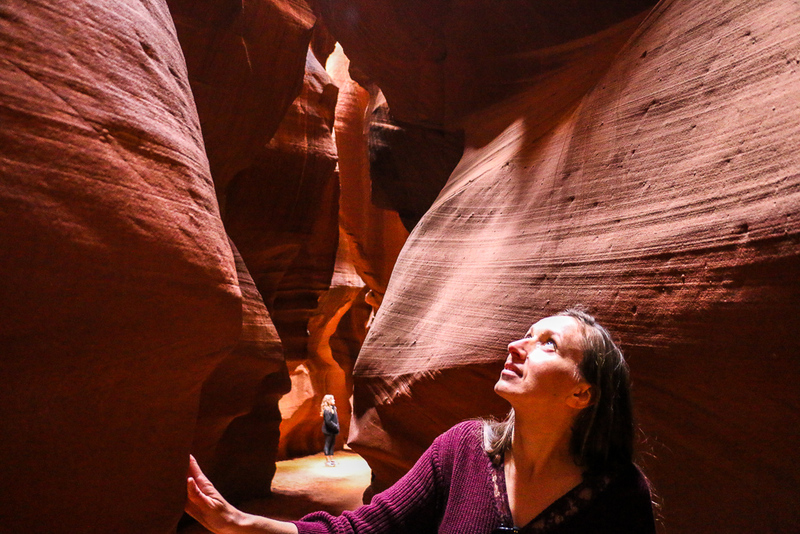 We traveled with a baby and thus our Antelope Canyon adventure was in questions until very end. All our prior researches indicated that babies and toddlers were not allowed at Antelope Canyon. We decided to test our luck and headed straight to reservation desk. 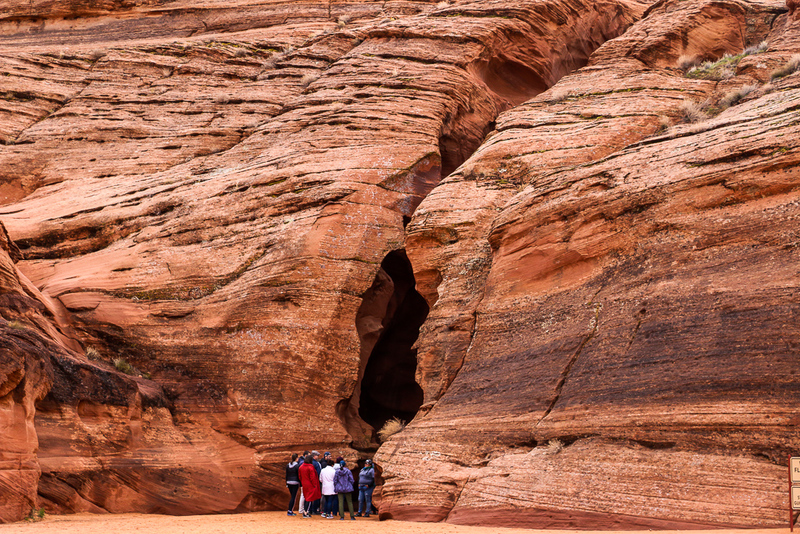 A Navajo woman informed us that there was no age restriction for visiting Upper Antelope Canyon. Lower Antelope Canyon admits only people of six years of age and older. 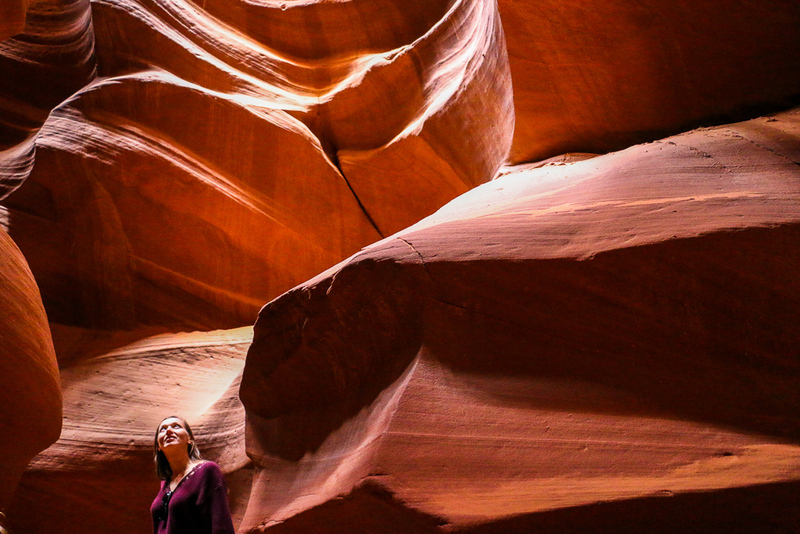 You can’t visit Antelope Canyon without a guided tour. Booking in advance is recommended, but it’s not required. You can always get a ticket at the counter upon your arrival. Here you can check a few tour companies for you to choose from near Page, Arizona. 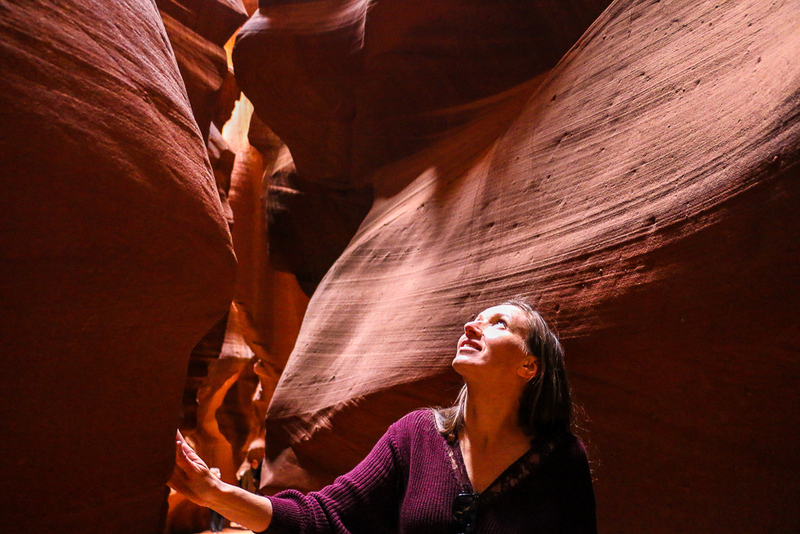 We went with Adventurous Antelope Canyon Photo Tours and couldn’t recommend it enough. But let me pause here and share one of our favorite practical trips for visiting Antelope Canyon. Prime-time tours are usually more expensive. However, we paid the same price as for non prime-time tours directly at the reservation desk. 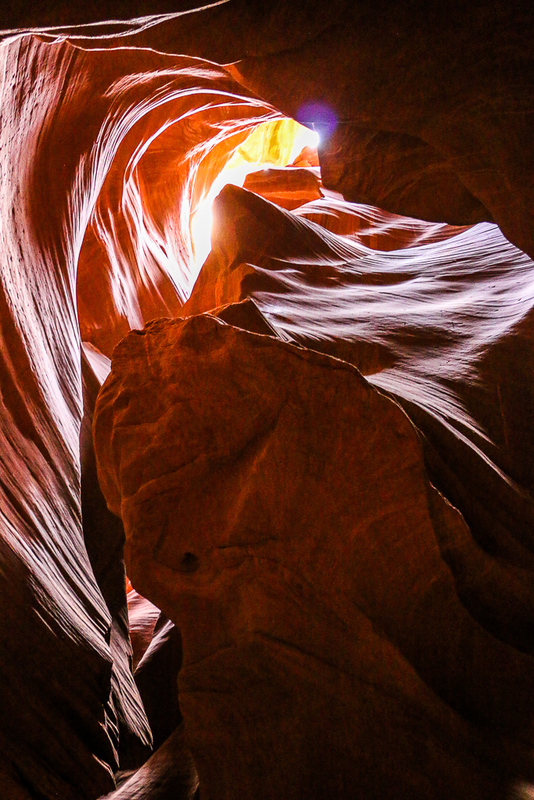 You must take a guided tour while visiting Antelope Canyon. Prime time is usually from 10:00 a.m. until 2:00 p.m. During this time more sun rays enter the slot canyons. It creates good conditions for perfect Antelope Canyon pictures. Of all practical tips for visiting Antelope Canyon, this one is very useful. It works especially well for those who want to see the light beams. You can still experience this phenomenon in Lower Antelope Canyon. 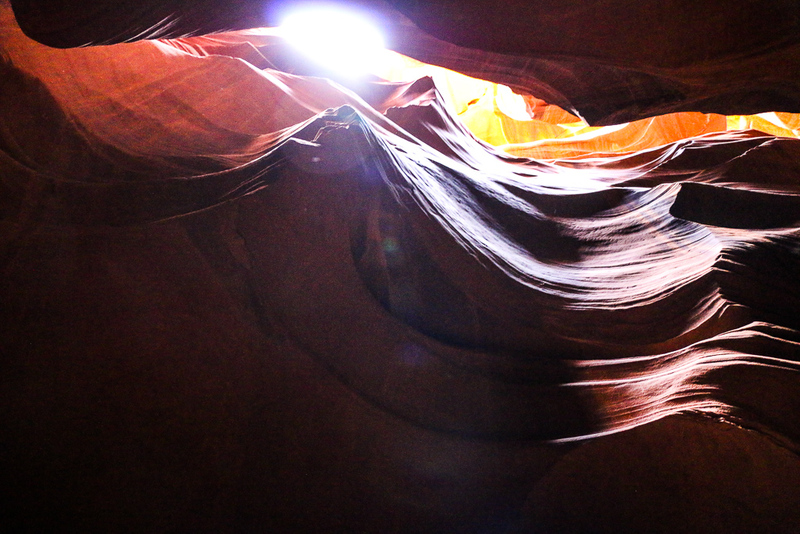 However, Upper Antelope Canyon is a place that gets the most beams. The best time to see the light beams is from late March until early October. Summer months usually get even more sun light. Try to schedule your tours between 11:00 a.m. and 1:30 p.m. for a change to see the beams. There are no light beams on a cloudy day. 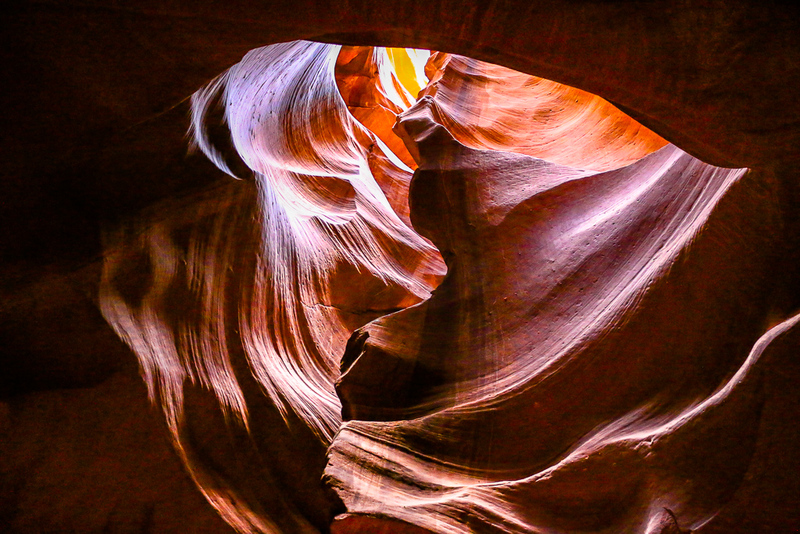 Even if you are a professional photographer, any photo tour will enhance your visit to Antelope Canyon. There is always enough time to set a camera and take pictures. On top of that, most of the tour guides suggest camera settings prior entering the canyon. 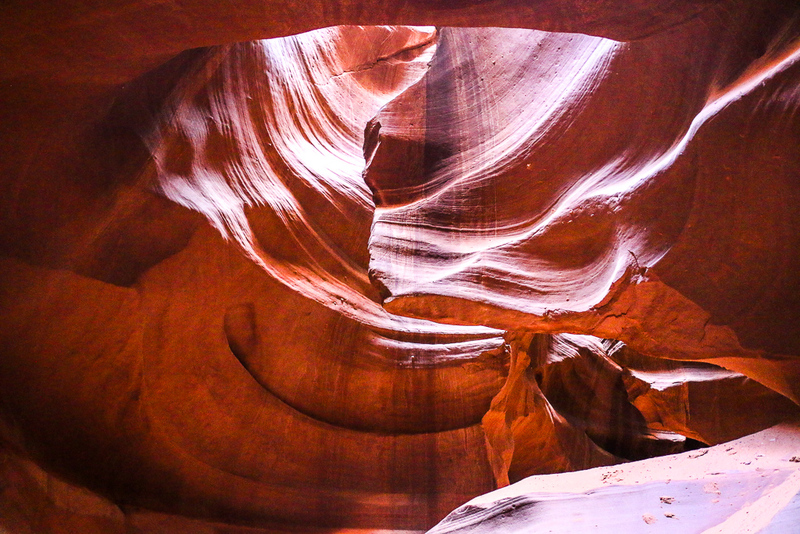 Moreover, they constantly show the best spots for amazing Antelope Canyon pictures. In case you need somebody to take your photo, the tour guides always offer their help. You will be astound at their skills and professionalism. So make sure to use such vital knowledge and practical tips. You really don’t need to spend more money for expensive photography tours.